It's Super Bowl weekend ya'll! You know what that means ... lots and lots of food! 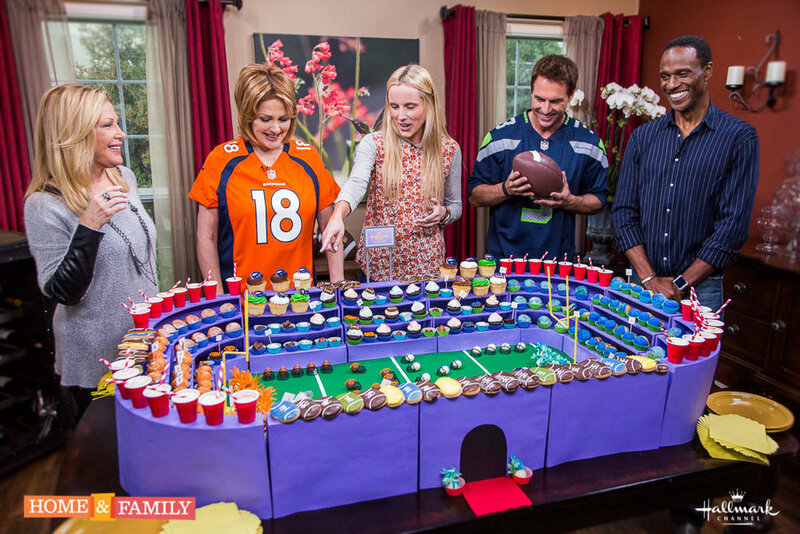 We decided to make something extra sweet on Home and Family this week. By extra sweet I mean pounds and pounds of sugar because we made a Dessert-a-Dome! If you missed the episode check out the tutorial, complete with printable templates below! 1. Print out all three templates and trace them onto your foam core. You will need two supports and 4 bench steps to complete one stand. If you are making the curved stand you will need two supports and 4 curved bench steps. 2. Using an X-Zcto knife, cut out your supports and bench seats. 3. Hot glue the steps to the supports. Let dry. 4. Spray paint. Let Dry. 5. Lay down a piece of green felt and hot glue strips of white ribbon as the lines. 6. 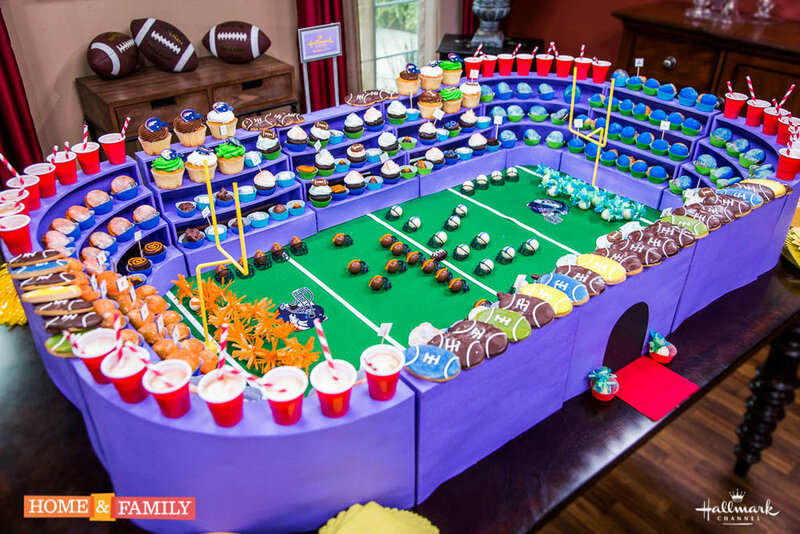 Fill stadium with desserts.